IntLawGrrls: No Alien Tort Liability for Corporations? any civil action by an alien for a tort only, committed in violation of the law of nations or a treaty of the United States. In its opinion in Kiobel v. Royal Dutch Petroleum Co., however, the Second Circuit dramatically narrowed the scope of the ATS by ruling that it did not apply to "juridical persons," meaning corporations. Since the groundbreaking judgment in Filártiga v. Peña-Irala (2d Cir. 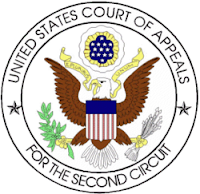 1980), which was brought by my dearly-missed colleague Rhonda Copelon and the Center for Constitutional Rights, the ATS has offered victims of human rights abuses the prospect of access to U.S. courts. In Kiobel, the oil company defendants stood accused of aiding and abetting the Nigerian government's campaign of human rights abuses in the Niger Delta, Nigeria's oil-producing region. The litany of human rights violations at issue in the case included allegations of torture, arbitrary detention, and crimes against humanity. Unfortunately, these allegations can no longer be heard in U.S.courts. The Second Circuit ruled on September 17th that corporations cannot be sued under the Alien Tort Statute because they are “juridical” entities rather than natural persons. Should this ruling be adopted throughout the U.S. court system, it would gut the scope of the ATS, making it very likely that corporations participating in human rights abuses will escape any accountability for their conduct. has brought impoverishment, conflict, human rights abuses and despair to the majority of the people in the oil-producing areas. the principle of individual liability for violations of international law has been limited to natural persons—not ‘juridical' persons such as corporations. This despite the fact that the Universal Declaration of Human Rights explicitly applies to "every individual and every organ of society." Over the objections of Judge Pierre N. Leval, Judge Cabranes, joined by Judge Dennis Jacobs concluded that that U.S. courts lacked jurisdiction over ATS claims brought against corporate entities. Given that oil production often takes place in countries without robust judicial systems, this cramped ruling virtually assures that victims will have no avenue of redress. The United States consumes a quarter of the world’s oil—10% of which comes from Nigeria. That makes the United States the largest purchaser of oil produced in the Niger Delta. Our participation as end-consumers makes us unwitting collaborators to abuse in Nigeria and around the world. We surely have an interest in giving victims of these human rights abuses a forum in which to seek justice. Thanks for this important update, Rebecca. I didn't realize so much oil was spilled--and spilled every year--in the Niger Delta! Most of us who use (and overuse) fossil fuels live in happy ignorance about how dirty the production process really is.